The Carlos Ghosn fiasco suggests derisory oversight by a board whose few independent directors include a race-car driver. Ernst & Young ShinNihon, auditor of Olympus and Toshiba, may have done sloppy work too. The restoration of faith in Japanese boardrooms has been damaged. 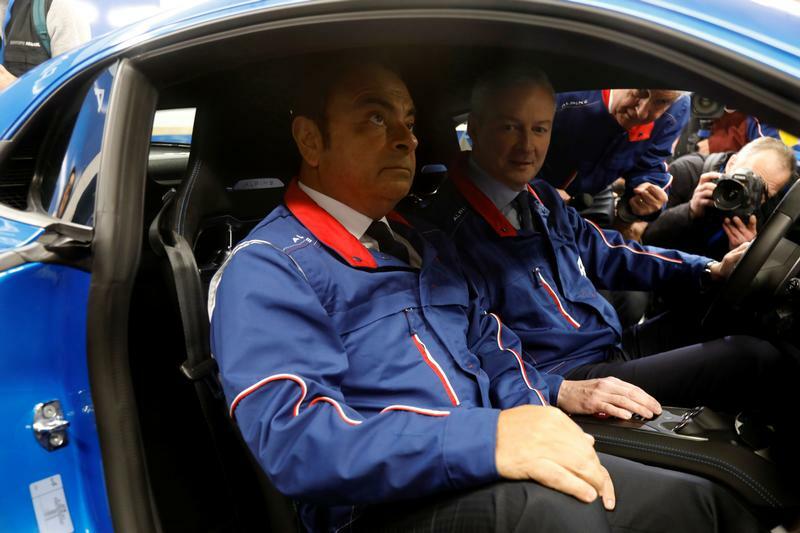 Carlos Ghosn (L), Chairman and Chief Executive of Renault, and French Finance Minister Bruno Le Maire sit inside the new Alpine A110 sports car during the inauguration of the new production line in Dieppe, France, December 14, 2017. Nissan's Chief Executive Officer Hiroto Saikawa said on Nov. 19 that Chairman Carlos Ghosn had been arrested for alleged financial misconduct. Saikawa said he will propose firing Ghosn from the board. Ghosn is also chairman and chief executive of Nissan's French partner Renault, and serves as chairman and representative director at Mitsubishi Motors. Also implicated in the allegations of misconduct was Nissan Representative Director Greg Kelly. Mitsubishi said on Nov. 20 that it has also opened an investigation into potential similar misconduct and will begin the process of removing Ghosn as chairman.